Although St John the Baptist church is not far from my house, I’d never been past it and didn’t know it existed. Over the last few weeks we were invited to both a wedding and a christening at this lovely church, and I vowed to return with my largest camera to do it justice. 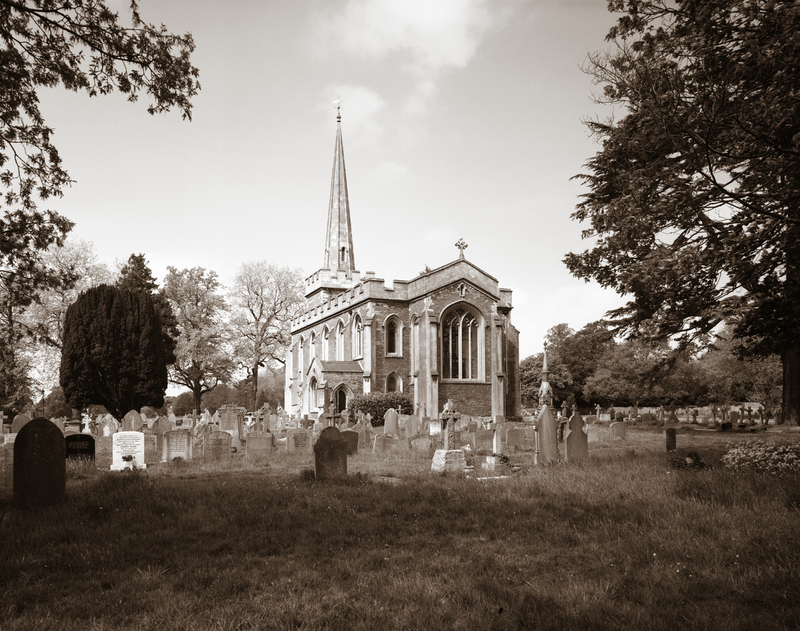 The church stands in the middle of Frenchay Common, which means it is surrounded by open space (and a few trees) so you can step back and take a photo that encompasses the church and its surroundings. This picture was taken with a Horseman 45HD field camera, equipped with a Schneider Super Angulon 90mm f/8 wide angle lens. Exposure was taken through a yellow filter on Ilford FP4+ film.